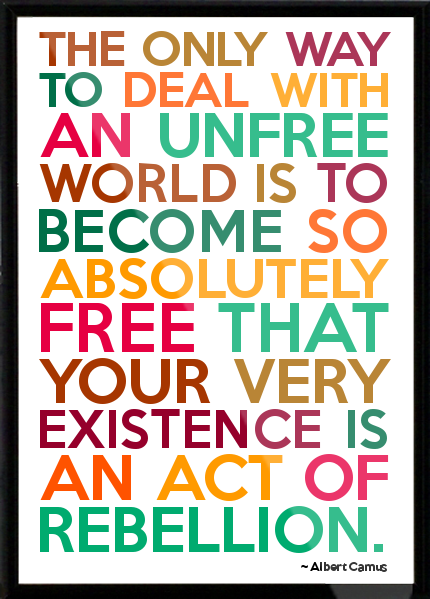 There are two distinct Freedoms in our world: ‘Freedom To’ and ‘Freedom From’. When we focus on ‘Freedom To’, we naturally expand our horizons and move into new vistas of being and living. When our vision is limited by ‘Freedom From’, our life tends to be tethered to the very experience we desire to be free from. An authentic act of rebellion springs from our passion for the ‘Freedom To’.